With our partners, including Luna Society International, we are crowdfunding a unique program to return humans from around the world to the Moon — to build permanent residences, tourist facilities, research centers and develop Luna's natural resources, while also respecting and preserving its incredible beauty. Are you ready to join us? Click here now! Doesn't it seem like every year you start looking for that perfect gift — and each year it gets harder to find a cool gift that is unique and different, that isn't simply a variation on the gift you bought last Christmas, or anniversary, or birthday, or Valentines Day? This year, it's time for the hottest gift idea of 2019, something that can be personalized for anyone (or everyone!) on your gift list — or for yourself. It's among the most popular yet unique gifts of all time: an actual acre of land on the Moon — and unlike naming a distant, barely visible star, land on the Moon is a gift that you can see nearly every night of the year, no matter where you are around the world. Offered exclusively by the International Lunar Lands Registry, your purchase of real estate on the Moon helps to crowdfund the worldwide effort to return to Earth's nearest neighbor in the sky! It's an educational gift ... a romantic gift ... a gift that will make them say "wow!" Lunar property is priced to fit any budget, and it's perfect for men and women, and children of all ages! It's easy to see why we say "Nothing could be greater than to own your own crater!" What's included in your ownership package? Your membership in the Luna Society includes a permanent land claim to property on the Moon. Join for one year and receive one acre, or for five years to receive five acres. Even if your membership expires, you retain the land claim in perpetuity. Please click here to view lunar deed document samples. All property prices are stated in US$ per acre. What is the price in your currency? WHAT DO I GET? Your Lunar Land Claim and ownership package includes a beautifully engraved personalized deed, a satellite photograph of your property on the Moon and an information sheet detailing the geography of your selected area. Shipping and processing fees are additional. We do offer express and priority delivery. The proceeds from your membership assist Luna Society International and its partners toward the goal of privatized exploration, settlement and development of the Moon. 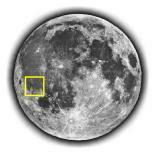 Lunar properties currently offered are sold in minimum lots of one acre (approximately 43,560 sq. feet, or 4,047 sq. meters). You may purchase up to 499 acres per online transaction; please contact us for special pricing on larger purchases. 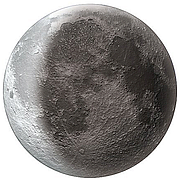 "MoonProperty.Net", "The Lunar Registry", "Luna Society", "Earth's Leading Lunar Real Estate Agency", "The Crater Company", "Get Mooned! ", "Welcome To The Moon! ", "Nothing Could Be Greater Than To Own Your Own Crater" and "Lunar Republic" are protected trademarks of Luna Society International.